Strawberries. 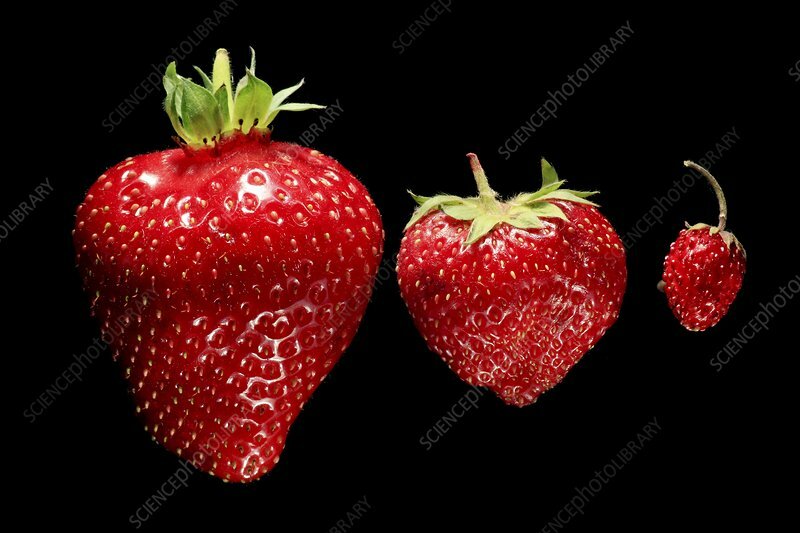 Two different sizes of cultivated strawberries (centre and left) next to a wild strawberry (all Fragaria sp. ).